We decided to lay low and focus on what mattered most to us that day: just our tiny family of three. (corny much, alyssa? sheesh...) Per my request D. and I decided to gift one another love letters (cue:"awww..."). He went above and beyond and set up a slideshow complete with pictures of his favorite memories with me. It was playing when I woke up that morning. No kidding guys, he's still nice and perfect and I'm starting to think he always will be. 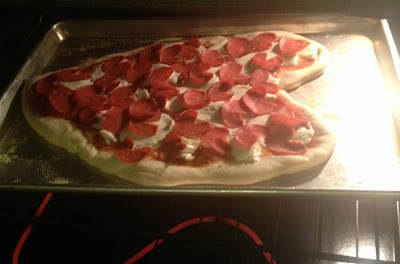 Per D's request, we ate heart shaped homemade pizza for dinner and Nutella fudge. When I asked what he would want for prior to the holiday, I assumed he would come up with something elaborate. But, that's what he wanted, and though it was not the most beautiful of pizza pies, we enjoyed it. 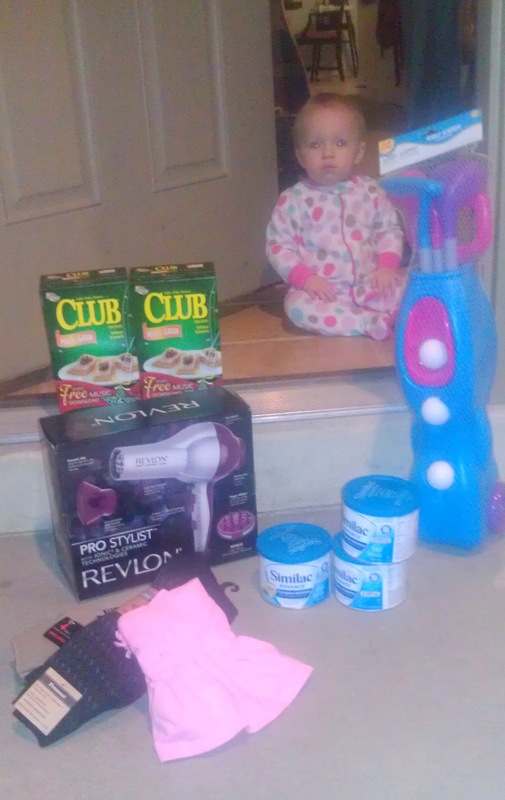 Apparently Abby's idea of making our holiday complete was granting her parents with forever heightened anxiety levels. She decided to learn to climb the stairs. 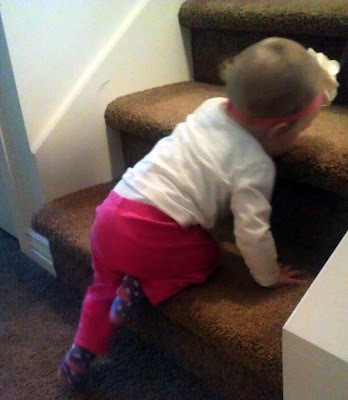 She's never really even tried, though she enjoyed propping herself up on the bottom stair, she never attempted to hoist herself onto it. And, of course, the North Wind paid a visit. Dropping it's loot, it never seems to disappoint. I've never understood how the North Wind swoops in on your family but not mine--not once. Explain that one. I think your family has worked hand in hand (literally) with the North Wind in the past, if I'm remembering right? I'm pretty sure you could make a special request next year, and it would be granted.